Meditation Master JinBodhi, please speak out against the brutal dog meat trade. Home / Blog / Meditation Master JinBodhi, please speak out against the brutal dog meat trade. Master JinBodhi is a highly revered founder of Bodhi Meditation and spiritual leader known around the world. Master JinBodhi founded Bodhi Meditation in 1991. He adopted the 12 Great Vows of the Medicine Buddha and began teaching the practices of Bodhi Meditation, embarking on a journey to liberate sentient beings. 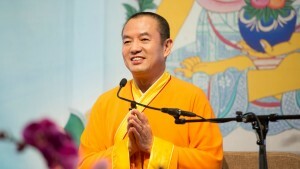 Today, Master JinBodhi’s teachings have spread to more than 30 countries and regions across the world. We would like Master JinBodhi to speak out against the practice of eating companion animals and the cruelty involved in the trades, and to share the Buddha’s teachings on compassion to animals to his followers and to the world. Please call, email and write to the revered Master JinBodhi today! You can use our sample letter below or use your own words. Click HERE for World Wide Bodhi Meditation Centers. Master JinBodhi, you teach about the law of cause and effect, and commitment to loving and protecting sentient beings, and we ask you, therefore, to speak out against the violence that is perpetrated daily in South Korea within the dog meat trade, where animals are subjected to barbaric acts of torture and unimaginable suffering. We respectfully ask you to stand up for the animals in South Korea, and in those other Asian countries where dogs are consumed, and also to publicly voice your support in favor of ending the dog meat trade.
.@JinBodhiWorld Plz speak out against horrific dog/cat meat cruelty in Korea/Asia https://goo.gl/Dl6OXk https://youtu.be/tEaa1GJo-Uo Thank you! Please Master Jinbodhi speak out against the brutal and so cruel dog meat trade.